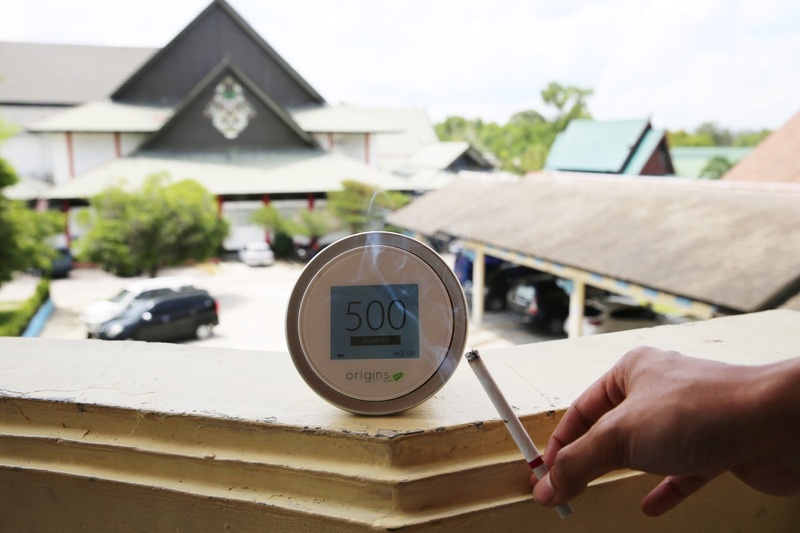 Last March, I went on a four-day mission to Palangka Raya, Kalimantan, ground zero for Indonesia’s haze-blasting agricultural fires, to determine whether real-time air quality monitoring systems might be of use. In particular, I wanted to gauge interest in small, easy-to-carry air quality monitoring devices, such as the LaserEgg, with potential to provide information about air pollution levels to protect users’ health. What I found is that locals were interested in this type of technology due to its portability and easy readability. But real-world experience had taught them technology was only useful when used properly. First, I talked to Sadrah and Vivia, two airport workers at Tjilik Riwut Airport. They shrugged off the LaserEgg’s PSI 115 “Unhealthy”’ reading not far from the tarmac. “It’s okay, we’ve seen worse,” Sadrah said. “Back in 2015, when much of Kalimantan was enveloped in a toxic yellow haze, visibility was only some 10 meters,” Vivia recalled. Members of Relindo, a volunteer group, made similar points. Local coordinator Pak Joko said the city was already equipped with a downtown air quality reader. “In the past, even when the ISPU showed that levels were ‘dangerous’…people still went about their lives without a mask.” He argued that what was needed was increased government efforts to change behaviours during haze. Hindris, another Relindo member, said such awareness-raising was crucial. 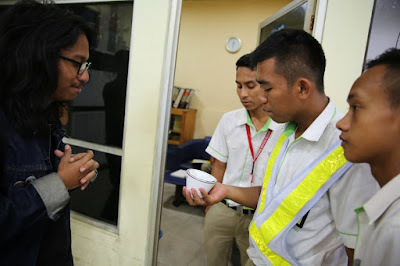 “During the haze, we distributed N95 Masks to people living in affected areas, but they didn’t know how to use them, or what to use them for. Some even complained they were unable to breathe, preferring to cover their mouths with cloth…it was our job to educate them and make them aware of the dangers of not using the masks,” he said. Our interviewees all seemed to agree that a portable air quality monitor was just a tool. It is equally important to make sure the public knows how to put that knowledge into practice. “Monitors like the LaserEgg give the public the data to make an informed decision about when to protect themselves. But it doesn’t tell them how and it doesn’t tell them why,” said UNICEF Indonesia Innovations Specialist Valerie Crab. “Finding ways to trigger behaviour change with answers to those questions will be another innovations challenge,” she added. Disclosure: The LaserEgg was given as a sample to UNICEF Indonesia by Origins, its distributor in Indonesia. Devices like this tell the user whether the particulate matter in a given location is Good (PSI 0-50), Moderate (PSI 51-100), Unhealthy (PSI 101-200), Very Unhealthy (PSI 201-300), or Hazardous (PSI 301 +). It color-codes these readings for easy comprehension.